Create 3D structures from 2D nets with MAGFORMERS NEW 26Pc NEON Set. Containing Neon colored squares and triangles that are ideal for little fingers to hold, the 26Pc is the perfect toy for building the 'magic ball', houses, towers and much more! See what your imagination will create! 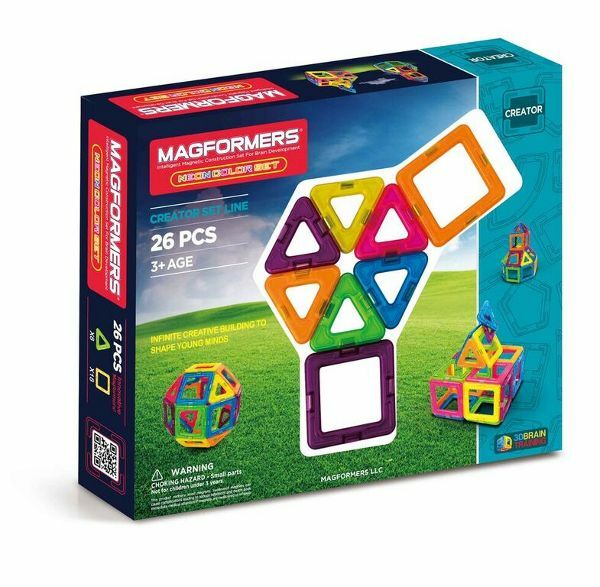 Each geometric shape contains magnets that never reject, so you'll always hear the MAGFORMERS click. 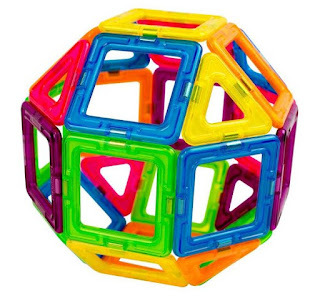 When playtime is over, use the magnetic power to simply stack and store!